Travel architecture cityscape stock photography. 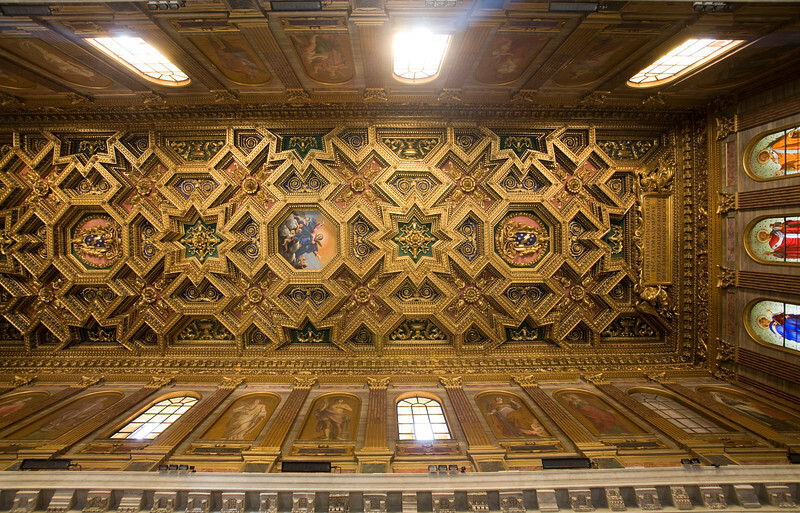 Coffered ceiling of Santa Maria in Trastevere basilica, designed by Domenichino in the 17th century. Rome.